This is an old one, but new to me (& I hope to you). 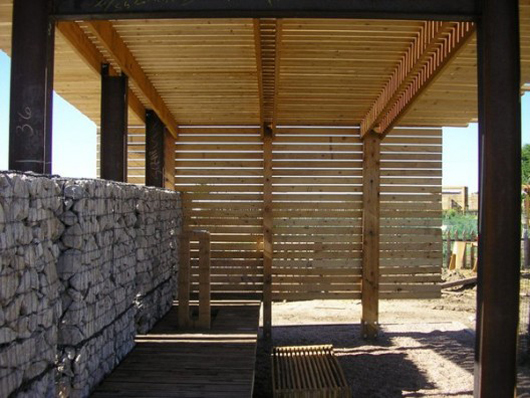 A student design-build project by a University of Colorado Denver architecture studio, the urban farm structure is built of recycled shipping pallets and gabion walls of recycled concrete. 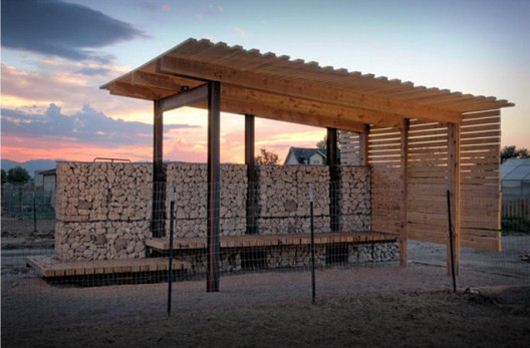 The structure serves as a gathering space, iconic entry way, and milking barn for FEED Denver, a non-profit educational urban farm. 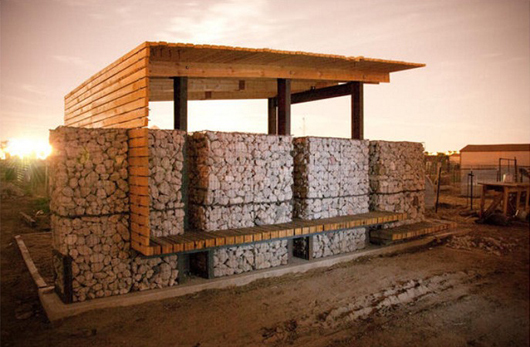 The transformation of reclaimed utilitarian building materials into a floating modern pavilion is remarkable without being overwrought, and an object lesson in revaluing throw-away materials. 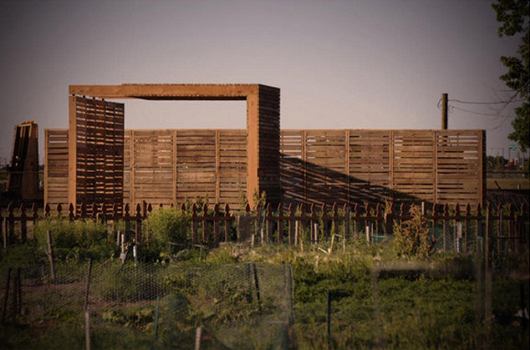 The students' goal was to "generate public awareness about design and architecture by constructing unique and functional places" - one I would say they have met. You can read more about the studio and see drawings here.